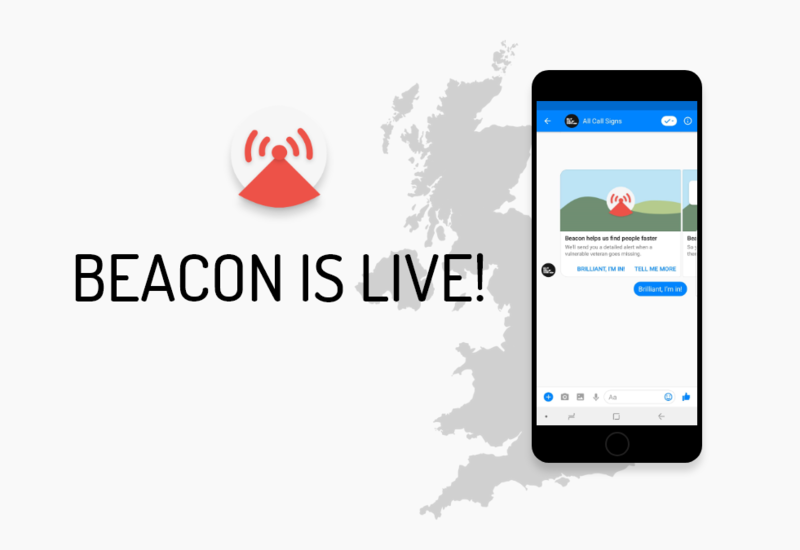 Less than a week ago we launched Beacon, our AI powered application for empowering the military community and public, to assist in the search for vulnerable veterans or service personnel. It’s still early days but adoption of the system has exceeded our own expectations and continues to grow at considerable pace. Until we have a need to use it, we can’t know how well it will work, but here’s a few reasons we think it is going to succeed. Join Beacon by clicking here and following the prompts for ‘Subscribe to Beacon’. Search parties, historically, have been assembled through word of mouth or a plea for help from family and friends. Occasionally a missing person will make the news and lead agencies may ask the public to keep their eyes open and report sightings, but this often comes far too late. There has never been an application in place before that harnesses the power of community to save veteran lives. This is important because we know that everyone on the Beacon platform understands that when that alert comes through, action needs to be taken. They’re prepared and willing. While the general public is more than welcome to join Beacon (and we really hope you will) we target military personnel and veterans in our marketing of the service because they make great assets in a search. When you’ve been doing areas, 5 and 20s and a hundred other different kinds of search since the day you pulled on a uniform, you’re observation skills are (not surprisingly) brilliant. These skills transfer wonderfully for search and rescue. The rumour mill can often be a curse when a vulnerable member of the military community goes missing, ending in areas being searched that didn’t need to be, areas that should have been getting missed and the general misuse of assets on the ground. Beacon is a single point of access for information and it’s coming from the right people. It takes the guesswork out of the search process. It’s also much easier to direct people where they need to be. If the ground team says “we need 30 people searching this wooded area”, we can send 30 people to that area via a message that goes straight to their phone. You may ask why Beacon isn’t a standalone application. We built Beacon as an add-on for Facebook Messenger because it allows for mass adoption with the least friction. Most people already have it on their phone even if they don’t use it very much. Most people also have the ‘chat heads’ feature turned on, which means when we send an alert, we’re right there on your home screen with all of the information you need. No need for more logins, more app downloads or special equipment. All Call Signs and our Chat and Beacon apps were built on a simple premise, that technology can and should be used in more effective ways to aid the prevention and response to mental health related incidents in the armed services. While we’re proud of what we have achieved so far, we understand that there is so much more to be done. Now Beacon is live, our focus turns to making sure its user numbers keep growing. It will only work if we can send enough people to prevent a bad outcome. We also have to shift gears in making sure the relevant agencies have access to Beacon, so they can mobilise our community as and when they need to. As always, how successful we are depends completely on your support, so thank you for being here and for continuing to share our goals.